VW 03L130755AA. Fuel Type Diesel. Model year to: 04/2015; Fuel Mixture Formation: Common Rail (CR). Function High Pressure Pump. Engine Code: CFFA; Model year from: 11/2009; Fuel Mixture Formation: Common Rail (CR). VW 03L130755AA, 03L130755AB, 03L130755D, 03L130755F, 03L130755L, 03L130755M, 03L130851BX, 03L130851CX, 03L130851HX. Fuel Type Diesel. Model year to: 04/2015; Fuel Mixture Formation: Common Rail (CR). 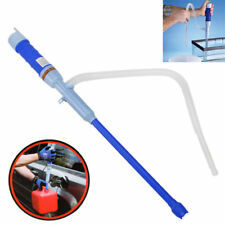 Function High Pressure Pump. VW TOURAN (5T1) 2.0 TDI MPV Diesel 05/2015 on FWD 16 150 110. VW CADDY IV Box (SAA, SAH) 2.0 TDI Box Diesel 05/2015 on FWD 16 150 110. VW CADDY IV Box (SAA, SAH) 2.0 TDI 4motion Box Diesel 05/2015 on AWD 16 122 90. Engine Code: CSUB; Model year from: 05/2014; Model year to: 04/2016; Fuel Mixture Formation: Common Rail (CR). Fuel Mixture Formation: Common Rail (CR). Model year to: 08/2018; Fuel Mixture Formation: Common Rail (CR). Engine Code: BYT; Engine Code: BZB; Model year to: 05/2008; Fuel Mixture Formation: Petrol Injection; or; Engine Code: CDAA; Model year from: 07/2008; Fuel Mixture Formation: Petrol Injection. AUDI A3 (8P1) 1.8 TFSI Hatchback Petrol 11/2006 08/2012 FWD 16 160 118. 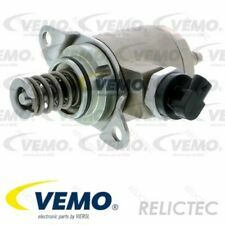 VW PASSAT 36 2.0D Fuel Pump 10 to 14 Pierburg VOLKSWAGEN. PIERBURG 7.28303.00, 7.28303.60, 72830300, 7.28303.00.0, 728303000, 72830360, 7.28303.60.0, 728303600. Function Fuel Pump. VW PASSAT (3C2) 2.0 TDI Saloon Diesel 11/2005 05/2007 FWD 16 120 88. Vw Audi Seat Bosch 0445010565 Fuel Injector Pump 03L130755 2.0 tdi CAGA . Condition is Used. Dispatched with hermes 2-3working days PLEASE CHECK YOUR PART NUMBER BEFORE ORDERED DON'T BUY IF DON'T CHECK PART NUMBER!!! Fuel Feed Module Unit. Engine Code: CFGB,CLLA | Engine Code: CFGB | Engine Code: CLLA | Chassis no. from: 3C-C 700 001. from: 3C-B 200 001. Engine Code: CFFB | Engine Code: CFFB | Chassis no. Engine Code: CAYC | Engine Code: CAYC | Chassis no. AUDI 06H127025N, 06H127025Q, 06H127025R. SEAT 06H127025N, 06H127025Q, 06H127025R. 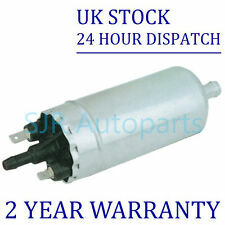 SKODA 06H127025N, 06H127025Q, 06H127025R. VW 06H127025N, 06H127025Q, 06H127025R. 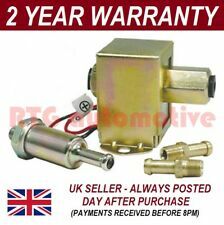 High Pressure Petrol Fuel Pump 0261520472 Bosch. Fuel Pump Assembly. Volkswagen Passat. 1 x Fuel Pump Assembly. Assembly, Fits Four Wheel Drive Vehicles, Fits Front Wheel Drive Vehicles. 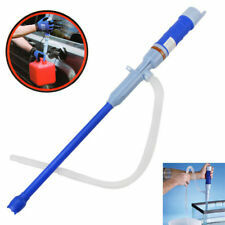 This Fuel Pump Assembly fits the following vehicles. B6, Four Wheel Drive, Front Wheel Drive. FOR VW PASSAT 3C. This is an original quality part manufactured by Bosch. Part specifications. Part Number : 0986437405. The Bosch Group is a leading global supplier of technology and services. If its sales and service partners are included, then Bosch is represented in roughly 150 countries. Fuel Pump 7.28303.60.0 Pierburg. PIERBURG 7.28303.00, 7.28303.60, 72830300, 7.28303.00.0, 728303000, 72830360, 7.28303.60.0, 728303600. Function Fuel Pump. MARWAL 78 209 04. Current strength to 5.5 A. This is an original quality part manufactured by Pierburg. FOR VW PASSAT 3C. 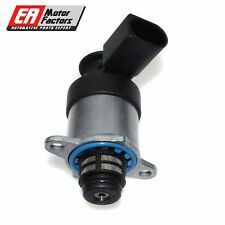 Multiple choices exist for:VW PASSAT 2.0 High Pressure Fuel Pump. Vehicle compatibility. PART CHOICE ALERT. VW Passat CC B6 5/ 2008 - 12/ 2010 Petrol: 1.8 TFSi,TSi, 2.0 TFSi, 2.0 TFSi,TSi BZB,CDAA, CAWB,CBFA,CCZA. VW CC B7 11/ 2011 - 12/ 2016 Petrol: 1.4 TSi BlueMotion, 1.4 TSi,TSi BlueMotion, 1.8 TFSi, 2.0 TFSi CCZB. TOP KMS QUALITY PRODUCT. 24 Hour Dispatch. Wheel Bearing Kits. 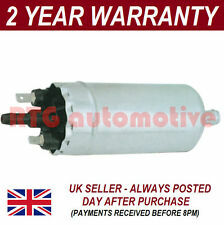 Minimum 12 Month Warranty. Windscreen Wiper Blades. Any claims after 24 hours cannot be accepted. Rear Lights. FUEL HIGH PRESSURE PUMP. # GENUINE SKV GERMANY - FUEL FEED UNIT - HEAVY DUTY. # About SKV Germany. Fuel Type: Petrol. Are you worrying how to proceed warranty if you are from different country?. For details seeWarranty Policy. FOR YEARS: 2010, 2011, 2012, 2013, 2014 (2011). Volkswagen Breakers. Seat Breakers. All A/C Compressors must have the A/C system flushed to remove any contaminants and the proper oils and Freon to be used. Seat Breakers. FOR YEARS: 2009, 2010, 2011, 2012, 2013 (2010). All A/C Compressors must have the A/C system flushed to remove any contaminants and the proper oils and Freon to be used. Also, the A/C system needs a new filter, dryer and orifice tube when installed.